Editor’s note: We're delighted to welcome some seriously fresh and fun individuals to THE KLOG. Look out for Tracy's Skin Tips and Tricks and Makeup insights. I think we can blame my K-beauty obsession on Tinkerbell makeup, Kim Tae Hee, and Taemin’s Sherlock weave. No, trust me, it all fits together in the end. I was born in Flint, Michigan in the 1980s. To put that statement in context, Flint was such an economic wreck then that Michael Moore made a whole movie about it called "Roger and Me" that premiered when I was in kindergarten. Then a six-year-old, I didn’t know that I was living through a relative economic apocalypse, but I did know that when we drove into the city to buy groceries, everything—even the things that were supposed to be colorful—were gray or muted, and that I had to hold mom’s hand tight at all times, even if I really wanted to play inside the circular clothes racks. There in the Miller Road Meijer grocery store (the Pierson Road branch being deemed too dangerous even while the sun was still out), amid the bagged cereal, store-brand canned goods, and babies that seemed to lack my brother’s robust health and sparkling eyes was heaven: Tinkerbell makeup. 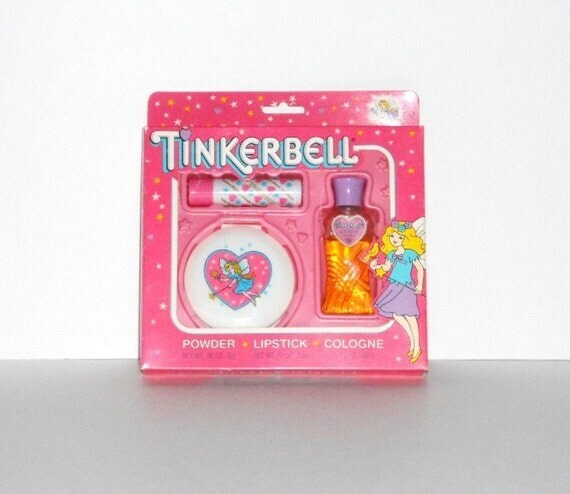 Colorful and glittery against a backdrop of monochrome, Tinkerbell was exactly what I wanted at all times, even if the nail polish peeled fast when I wanted it to stay, the pigmentation of everything was virtually non-existent, and the perfume always smelled a bit wretched. Growing up, I never stopped loving makeup (the more colorful and glittery the better), but doubted that I’d ever find the equivalent of heart-stoppingly fabulous Tinkerbell makeup as an adult. The day I graduated with my doctorate in early modern European history (and a certificate in Renaissance studies, just to add that extra dash of unemployability) I woke up early to watch the livestream of the Rooftop Prince K-drama finale. Having cried for a few hours over the story of Lee Gak and Park-ha's timeless love, I look wrecked in my photos. I mean, some of it may have been the medieval-style floppy hat and makeup-meltingly hot auditorium, but those dark circles tell the tale: I was already hooked. The exhausted smile of a drama addict. The obsession was responsible at first. I started watching Korean dramas the prior fall while forcing myself not to work on my dissertation on weekends (I don't know how to do anything halfway. Anything.). I stumbled across a drama called My Princess on Netflix and laughed at how ridiculous it looked. I decided to watch a few minutes in order to get some material for jokes about it that my friends or students might like. My Princess was actually adorable and starred Kim Tae Hee, who despite being a few years older than me, looked about a decade younger. What country did you say made this enjoyable television program? And how does one end up so unlined at an age I expected to start creasing like a discarded NC15 lunch bag? I was suddenly paying a lot of attention to Korea. I had great plans for my life at a certain point: I was going to quickly publish my dissertation, start work on the massive second book that would make me a respected scholar for decades to come, and earn tenure at a top school while being a legendary teacher and sometimes even cooking dinner (organic and from my weekly farm box, ideally). It all fell apart the moment I was browsing a K-drama news site and saw Lee Taemin’s craptacular weave in K-pop boyband SHINee’s Sherlock music video. I was fascinated. Who was this weave-wearer and how could he dance so well? It turned out that his name was Lee Taemin and his singing and dancing were even more impressive live. From that point, the book manuscript gathered dust (I’m trying to remember where I put it and I literally can’t recall) and Seamless handled dinner (delivery) for the family. I was reborn as a Shawol, a fan of Taemin’s band SHINee (pronounced shiny). At that point SHINee were the spokespeople for a number of brands. One of them happened to be a K-beauty cosmetics brand called Etude House. One look at the promotional images was like applying a metaphorical madeleine lip gloss that transported me back to my childhood lust for the temporary wonders of Tinkerbell. I didn’t fall in love with Korean beauty products due to science or 10 steps or even a particular interest in the condition of my skin (at that time! )—it was because a long-haired dancer and fluffy drama about a college student-turned-princess lured me down a rabbit hole that turned out to be filled with sparkly pink stuff much like that which I had wanted so long ago. Fundamentally, what drew me—and continues to draw me—to Korean beauty is the joy of it: the playfulness of Tinkerbell finally combined with the pigmentation of grownup makeup. My favorite product of 2014 that’s perfect for calming existing blemishes. This is a relatively recent addition to my routine and I love that it does so much. I put it on a microfiber pad and wipe off my base makeup and sunscreen immediately upon walking in the house; I still do a full double cleanse later, but my skin is so much happier as a result of getting my makeup off ASAP. I also use this as a toner in my skin care routine since the pH is ideal for my skin. This is one of those amazing K-beauty products that I thought must be filled with pore-clogging ingredients because there’s no way that something so cute and delicious smelling could actually be effective. Then I studied the ingredient list and actually tried it and I realized that with Korean skin care you really can have it all. More about this product soon. The big K-beauty concept that I think needs to blow up in mainstream culture is the idea of sparkly under eye highlighting with pencils like this. It instantly adds a youthful awakeness and it’s dead-easy to do (just add some pencil under your bottom lash line). I’ll be hopping around, chasing inspiration, but you can now find me here on The KLOG. Tracy, better known as fanserviced, is a professor-turned-K-pop and K-beauty fangirl trying to balance her need for great skin care with her love for fabulous and fantastical makeup. Get @fanserviced on Instagram.